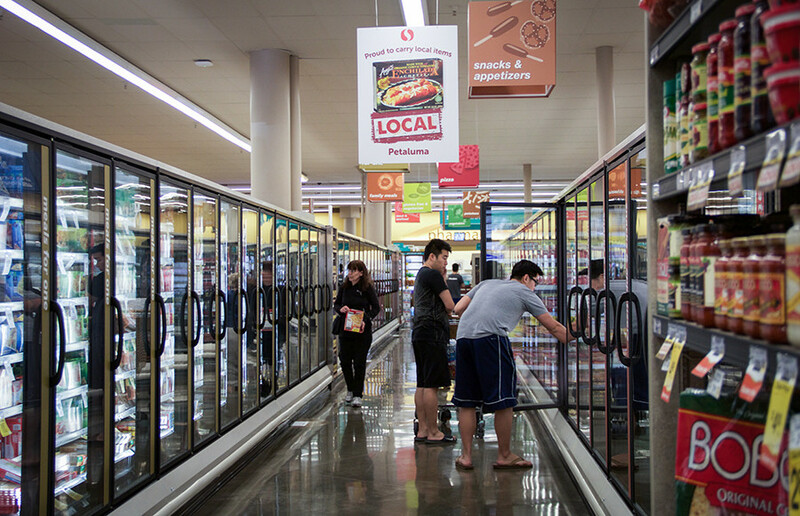 Almost a year and a half after its closing and demolition, the Safeway at the intersection of College and Claremont avenues reopened Friday with expanded departments and a public plaza. 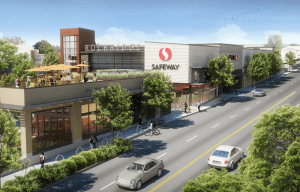 According to a Safeway press release, the 24-hour store will bring an additional 65 jobs to the community and employ a total of 160 people. The store now offers a pharmacy and Starbucks as well as an expanded selection of products, meat and seafood. There is also a public plaza with outdoor seating, connecting the store to retail shops such as Philz Coffee, CREAM and Great Clips, among others. The project, which has been in the works since 2006, was not approved until 2012 due to disputes with community groups that expressed concerns over limited parking and potential threats to local businesses. 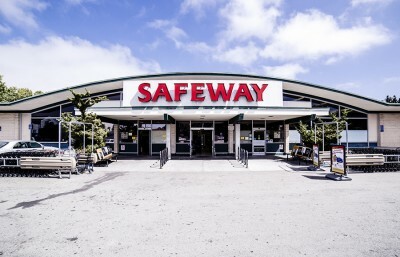 Even after the project was approved, the principal architect, Ken Lowney of Lowney Architecture, said Safeway was advised to go through mediation and address community concerns to avoid a potential lawsuit from the community. According to Lowney, the mediation, starting in November of 2012, involved a 12-hour session, mediated by Oakland City Councilmember Jane Brunner, of going back and forth between both sides and multiple meetings of redesigning. Although the store is in Oakland and lies under Oakland jurisdiction, many Berkeley residents and groups that live on the border in Elmwood have been involved in negotiations over its construction. According to Jacquelyn McCormick, president of the Claremont Elmwood Neighborhood Association, the original plan had various issues, such as its lack of parking spaces and colossal size — approximately 10,000 more square feet than it is now. The whole two-story building, which initially set the parking lot underneath the store, looked like a “big, suburban square box,” McCormick said. The compromise for the 45,500-square-foot store, 9,500-square-foot space for retail shops and rooftop parking, among other changes, was approved at an Oakland City Council meeting in December of 2012. 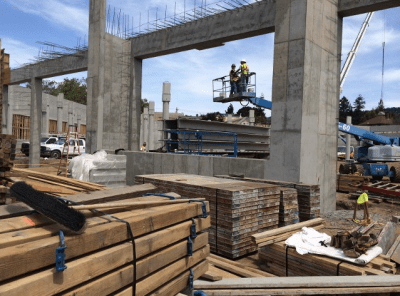 The project faced delays again in late 2013 when a 5-foot increase in height, due to structural reasons, was proposed without being run past community groups. 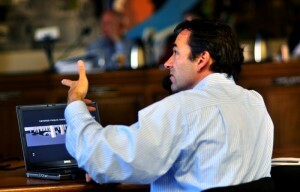 “It’s really an example of the political nature of architecture,” Lowney said. While Dean Metzger, vice president of the Claremont Elmwood Neighborhood Association, acknowledged that “new things look nice,” he expressed concerns over increased congestion. 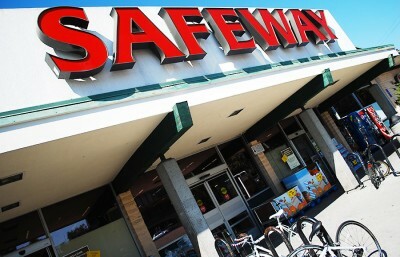 He has not yet been inside the store and believes a Safeway belongs in the suburbs instead of a city. McCormick, who hasn’t yet been inside the store, believes the store is still too big and intends to continue shopping at her local neighborhood market. Heyun Jeong is a news editor. Contact her at [email protected] and follow her on Twitter @heyunjeong.